Sergeant Major William T. Stables (Ret.) was born and raised in Giles County, V.A. He entered recruit training at Marine Corps Recruit Depot, Parris Island, S.C. July 27, 1982. Upon graduation, he reported to Infantry Training School, Camp Lejeune, N.C. for initial training and follow-on assignment to 3d Battalion, 2d Marines, 2d Marine Division, as an anti tank assault-man. Following completion of his assignments at Camp Lejeune, Corporal Stables attended Marine Security Guard School in January 1987. Upon graduation, he served at the United States Embassy in Bonn, Germany and at the United States Consulates in Leningrad, U.S.S.R. and Frankfurt, Germany. In September 1989 Staff Sergeant Stables reported for duty to 1st Battalion, 6th Marines, where he served as a Rifle Platoon Sergeant. During his tenure with 1st Battalion, 6th Marines, Staff Sergeant Stables deployed in support of a UNITAS mission and served as a Rifle Platoon Sergeant and Platoon Commander. From December 1991 to December 1992, Staff Sergeant Stables served the Company Security Chief and as the Tube-launched, Optically tracked, Wire-guided missile Platoon Sergeant and for Headquarters Company, 8th Marine Regiment, 2d Marine Division until he was selected to attend Drill Instructor School. Upon completion of Drill Instructor School at Marine Corps Recruit Depot, Parris Island, S.C., he served as a Drill Instructor, Senior Drill Instructor, Series Chief Drill Instructor and as Drill Master. In April 1996, Gunnery Sergeant Stables was assigned to 3d Battalion, 7th Marines, 29 Palms, C.A. where he served as Company Operations Chief and Company First Sergeant. In June 1999, First Sergeant Stables reported for duty to 1st Battalion, 10th Marines, where he served as a Battery First Sergeant. In May 2001, First Sergeant Stables served as the 2d Marine Division’s Inspector Sergeant Major. From 2002 to 2003, he served as the Company First Sergeant for Headquarters and Communications Companies, 2d Marine Division. Sergeant Major Stables reported for duty to Marine Aviation Logistics Squadron 24 in May 2003 where he served as the Squadron Sergeant Major. In September 2004, he was reassigned to the 3d Battalion, 3d Marine Regiment, 3d Marine Division. In January of 2007, Sergeant Major Stables reported for duty to 23d Marine Regiment, San Bruno, California, where he served as the regimental Inspector Instructor Sergeant Major. In April 2009, Sergeant Major Stables reported for duty to 2d Marine Logistics Group, 2d Marine Expeditionary Force, Camp Lejeune, N.C., where he served as the Group Sergeant Major. 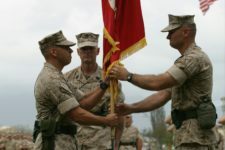 SgtMaj Stables assumed his duties as the Marine Forces Pacific Sergeant Major in July 2012. He retired in July 2015. 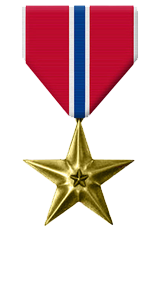 His personal decorations include the Legion of Merit, the Bronze Star Medal, the Meritorious Service Medal, the Navy and Marine Corps Commendation Medal with Gold Star, the Navy and Marine Corps Achievement Medal, the Combat Action Ribbon with Gold Star and the Military Outstanding Volunteer Service Medal. 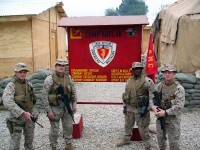 (L-R) LtCol. Norm Cooling and SgtMaj. William Stables. FOB Salerno, Afghanistan. November 2004. (L-R) LtCol. Norm Cooling, SgtMaj. William Stables, Capt. Eric Kelly, 1stSgt. David Cadd. Camp Krulak, Afghanistan. January 2005. (L-R) LtCol. Norm Cooling and SgtMaj. William Stables. Haditha Dam, Iraq. September 2006. 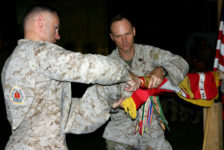 For meritorious achievement in connection with combat operations involving conflict with an opposing force while serving as Battalion Sergeant Major, 3d Battalion, 3d Marines, from August 2004 to September 2006, in support of both Operation ENDURING FREEDOM under the command of Combined Joint Task Force-76, and Operation IRAQI FREEDOM under the cognizance of Regimental Combat Team-7, I Marine Expeditionary Force Forward. During two seven month deployments in complex counter-insurgency operations, he led and inspired the Marines and sailors through mounted and dismounted patrols. While deployed to Iraq, he traveled over 6,000 miles across an immense battlespace exceeding 1,500 square miles. His understanding of the enemy and insurgent tactics, coupled with an innate ability to relate to the Iraqi Security Force counterparts and inspire them to action, were keys to the success of those difficult missions. 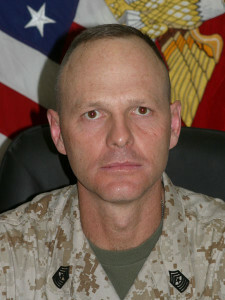 On multiple occasions, and during intense urban combat, he contributed to the counter-insurgency efforts of the battalion’s jump command post security platoon, aiding his fellow Marines despite periods of enemy indirect fire, small arms fire, machine gun fire, and improvised explosive devices. On one particular occasion, Sergeant Major Stables ensured the successful evacuation of three critically wounded Marines immediately following the explosion of an improvised explosive device. His leadership by example, care, and inspiration to all Marines and sailors was instrumental to the success of the battalion. Sergeant Major Stables’ total effectiveness, forceful leadership, and loyal devotion to duty reflected great credit upon him and upheld the highest traditions of the Marine Corps and the United States Naval Service.